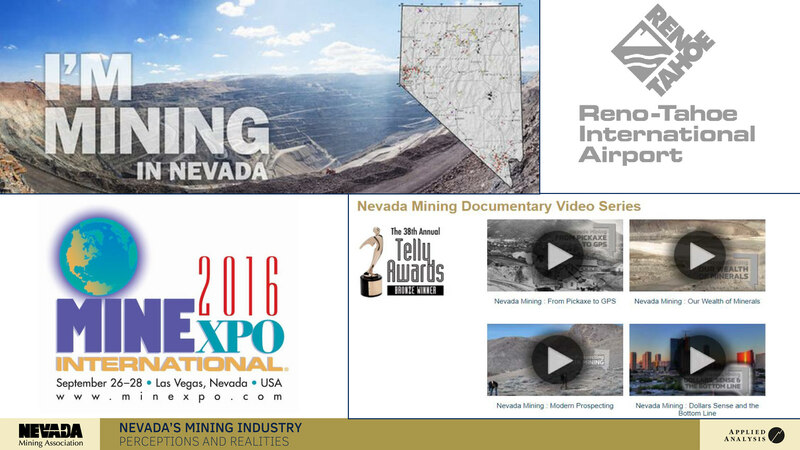 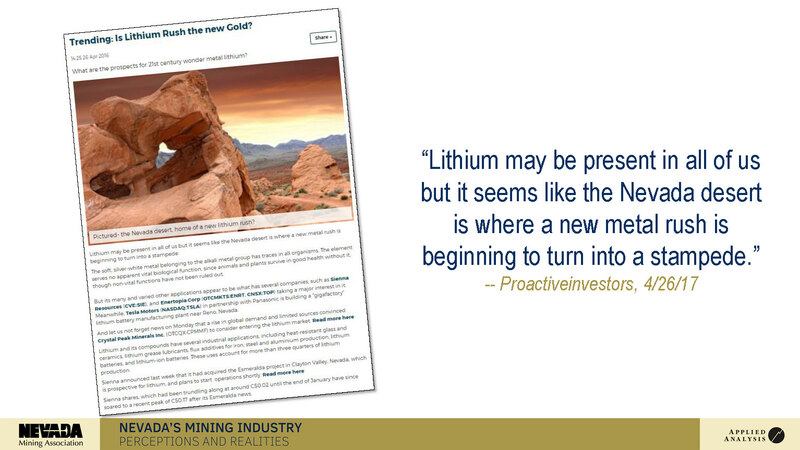 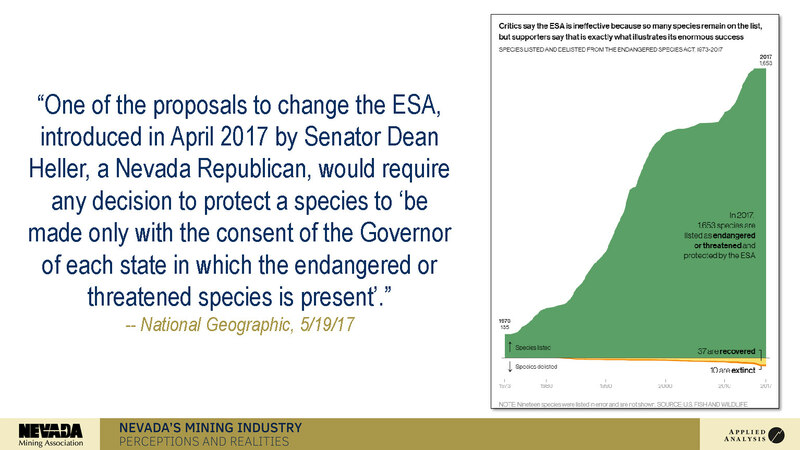 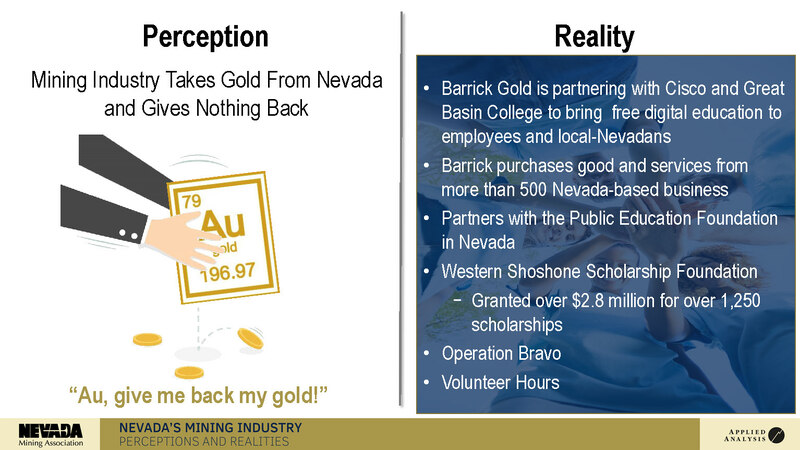 On September 9, 2017, Jeremy Aguero delivered a presentation at the Nevada Mining Association's Annual Convention in Lake Tahoe, Nevada. 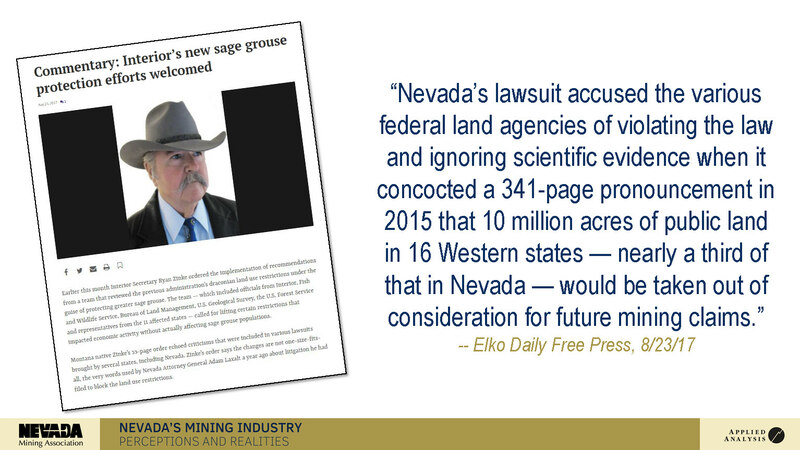 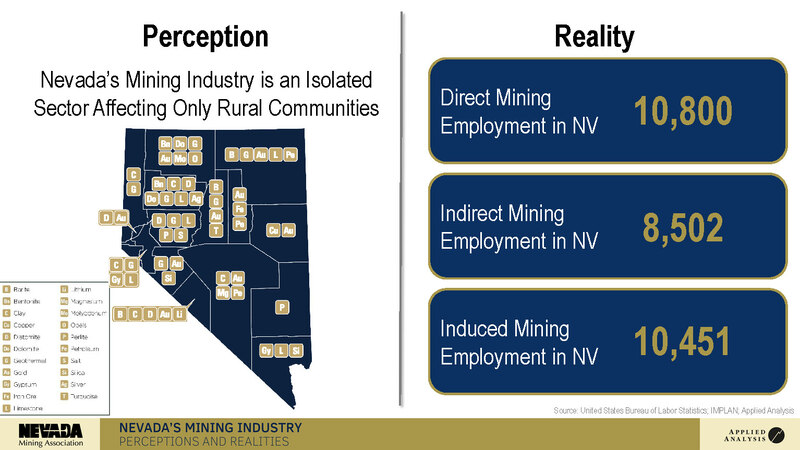 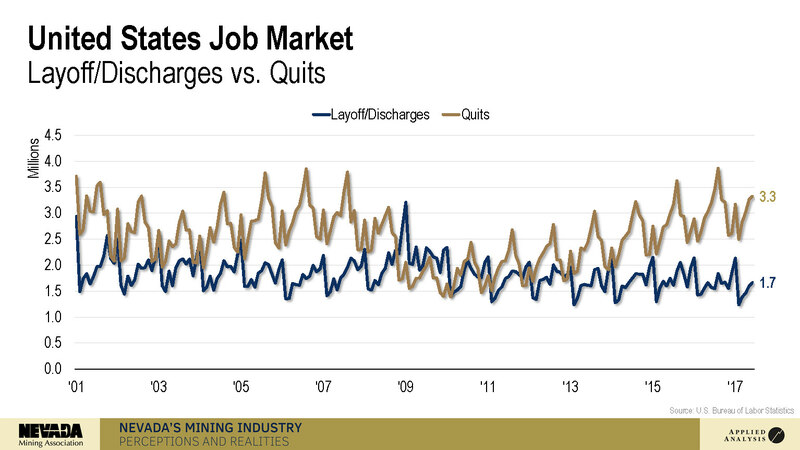 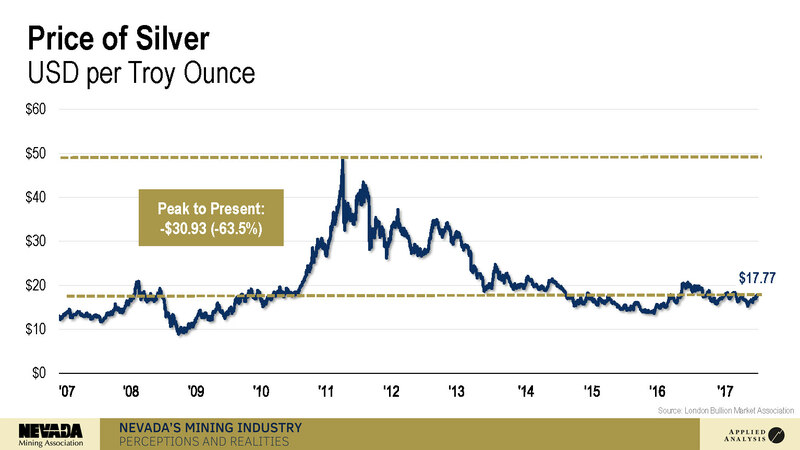 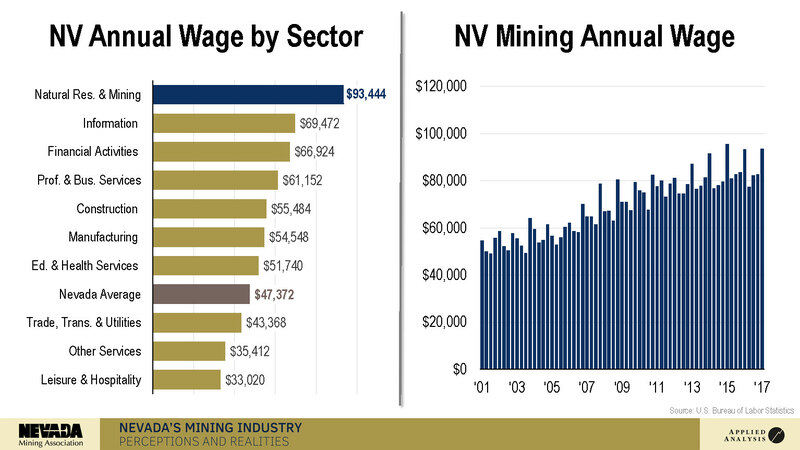 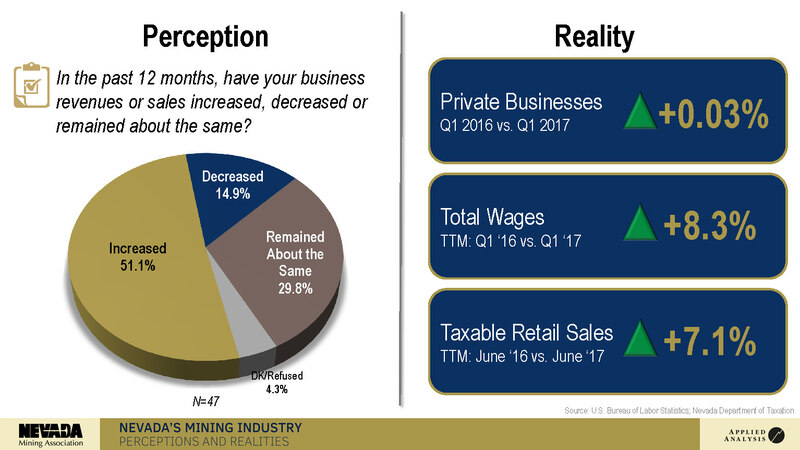 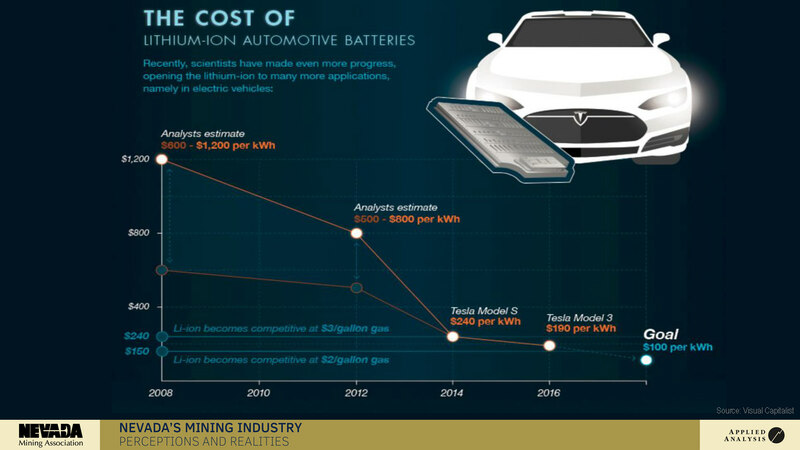 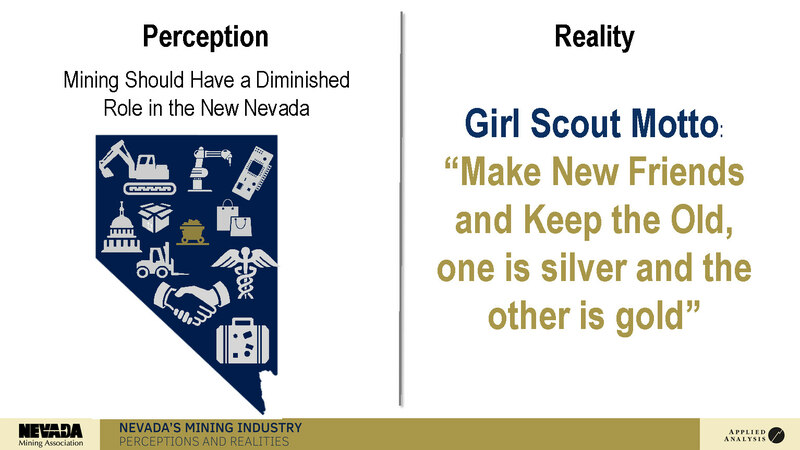 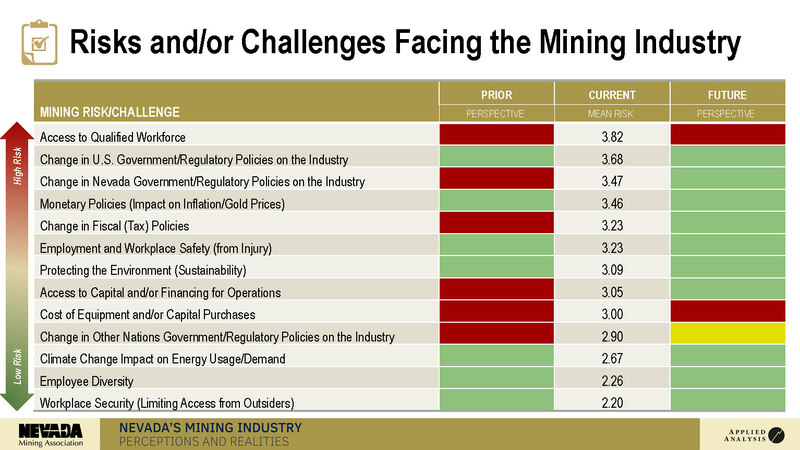 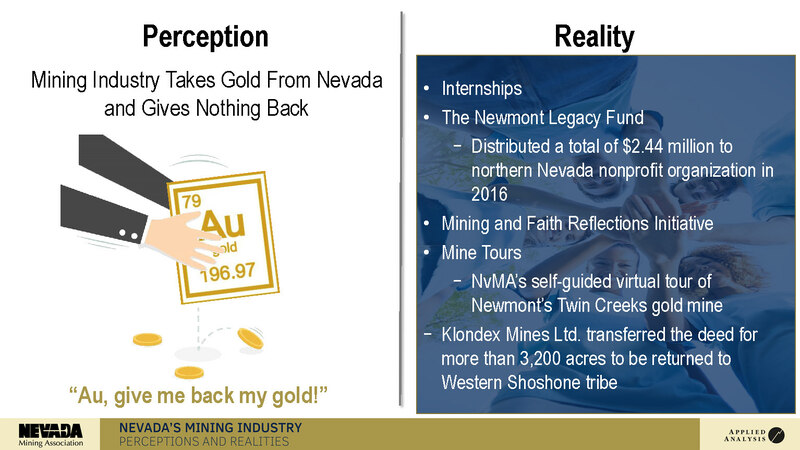 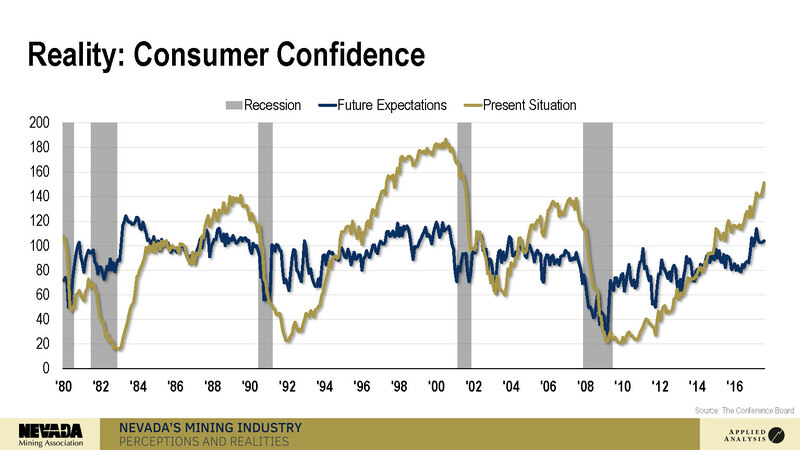 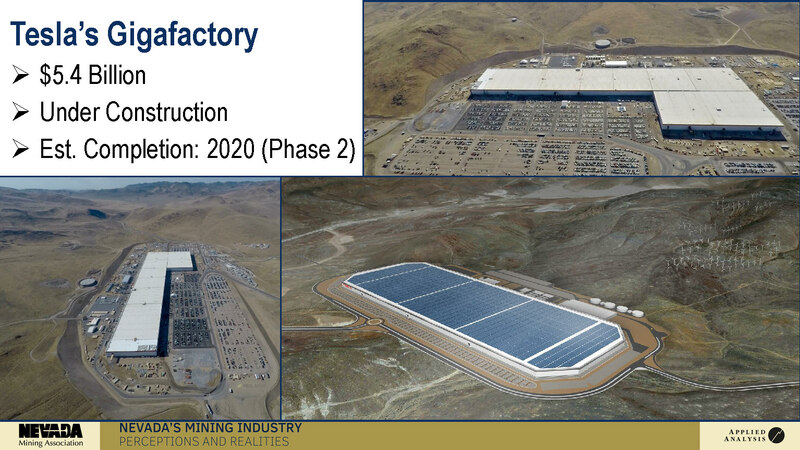 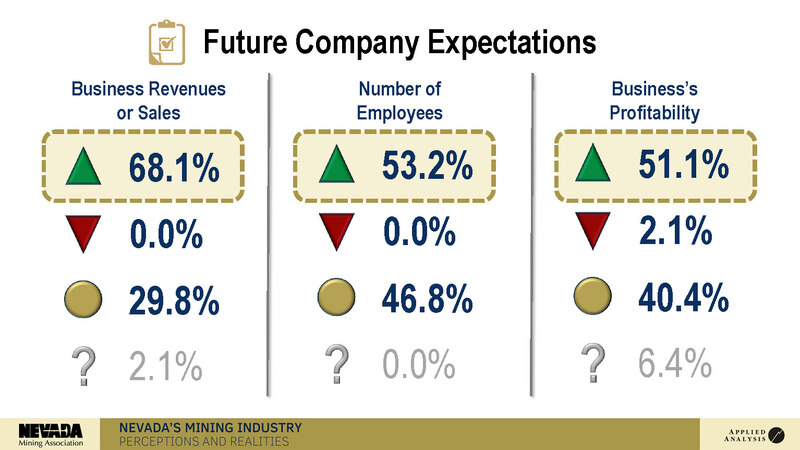 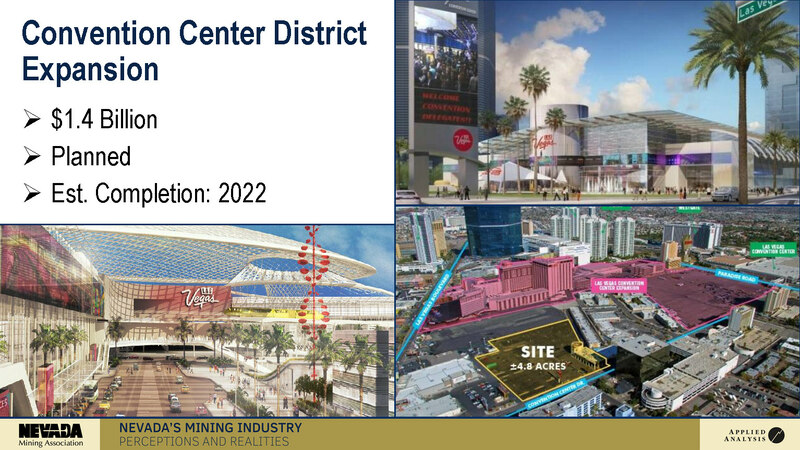 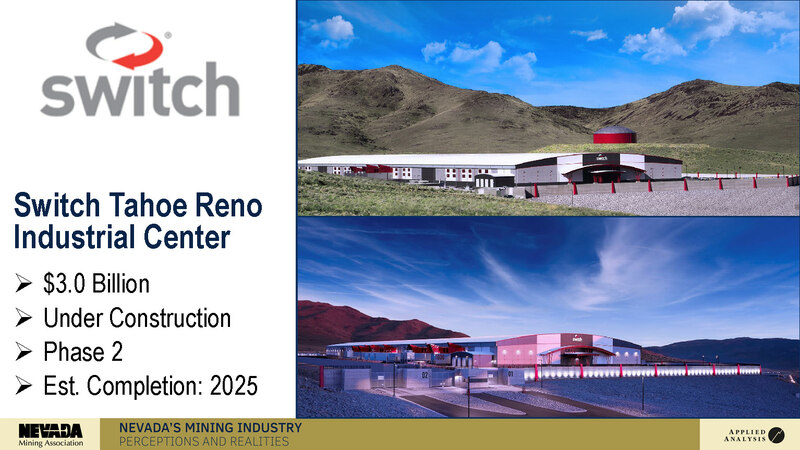 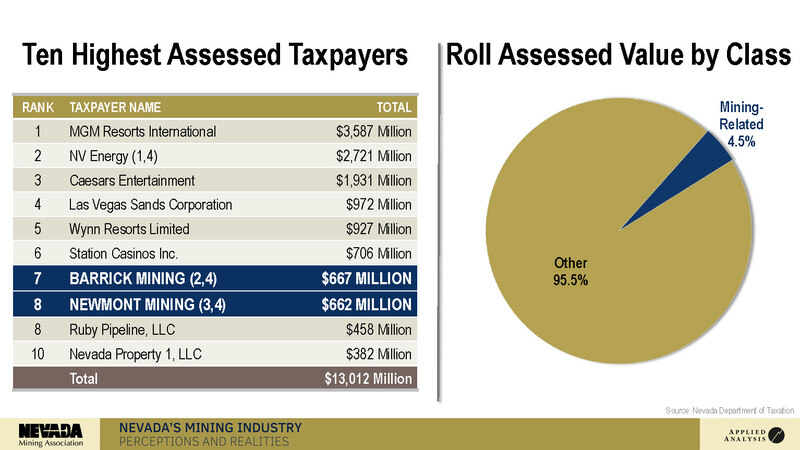 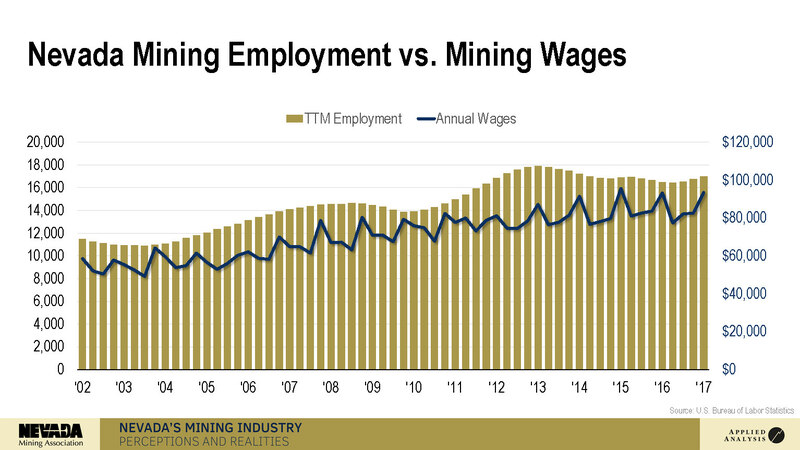 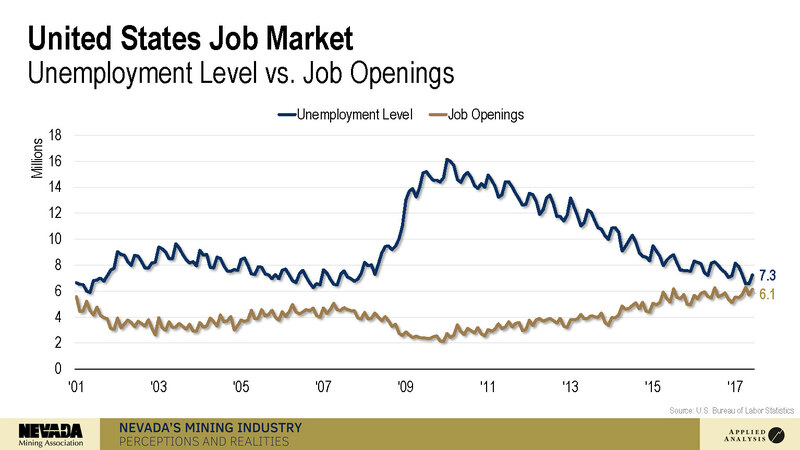 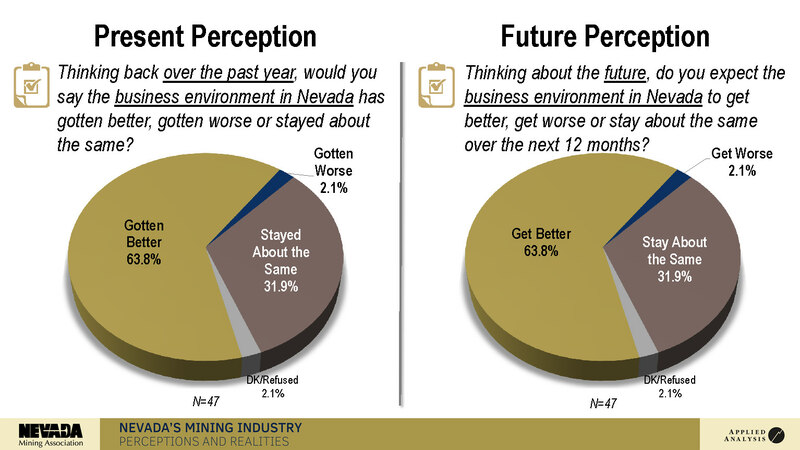 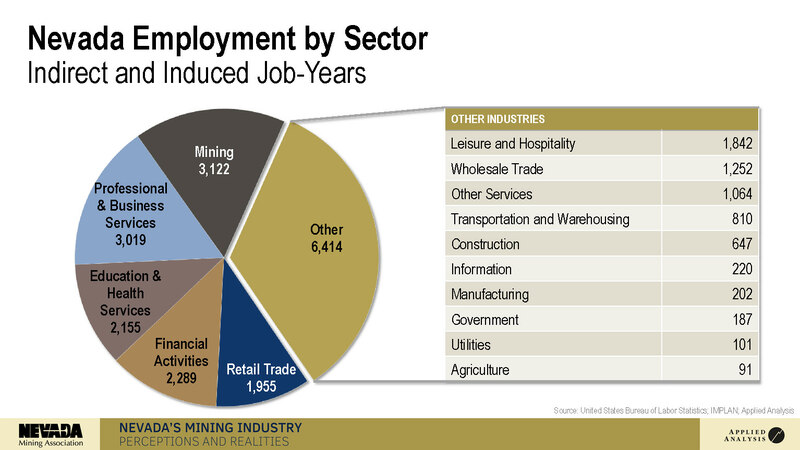 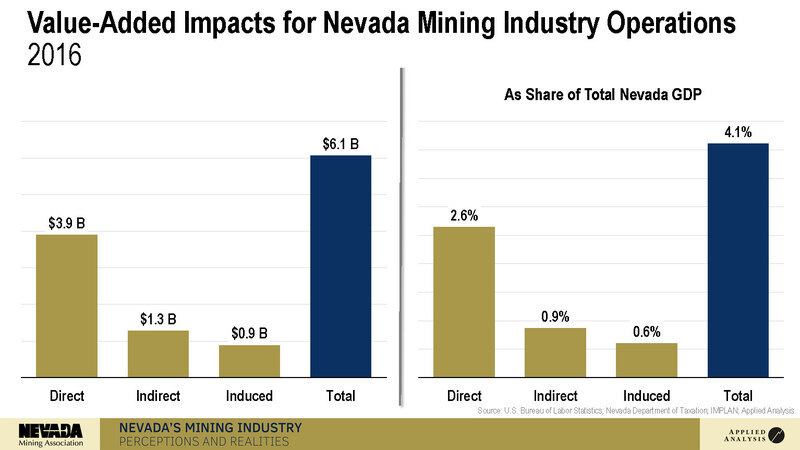 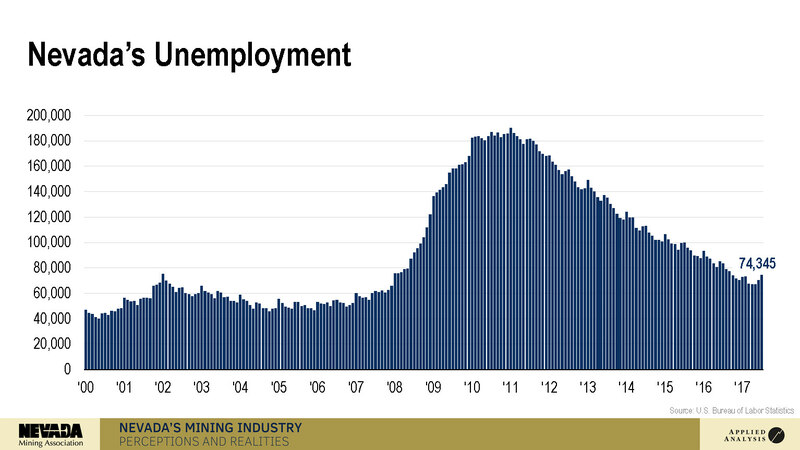 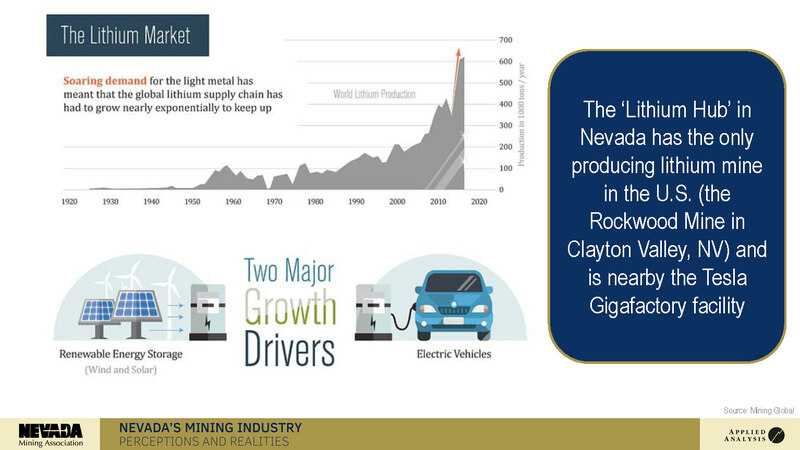 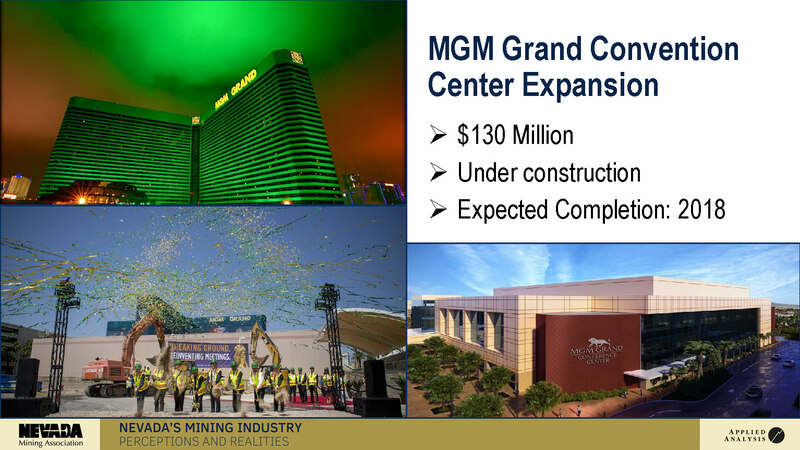 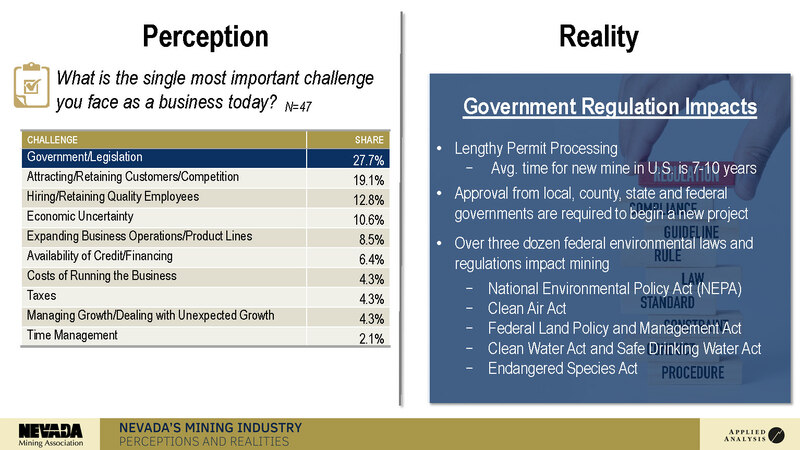 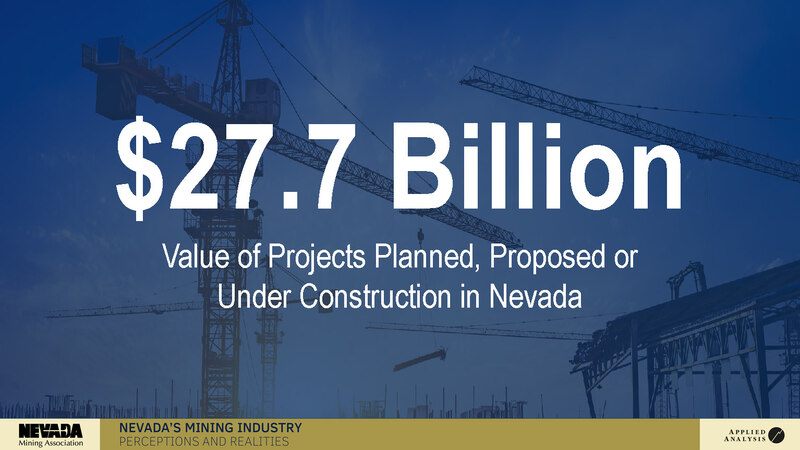 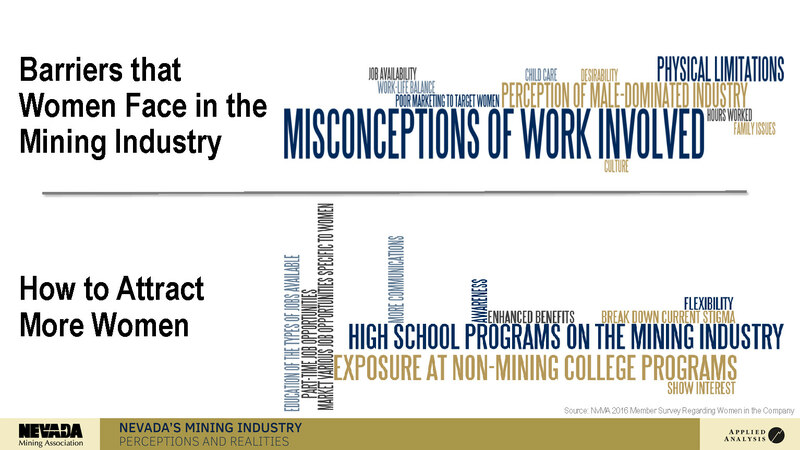 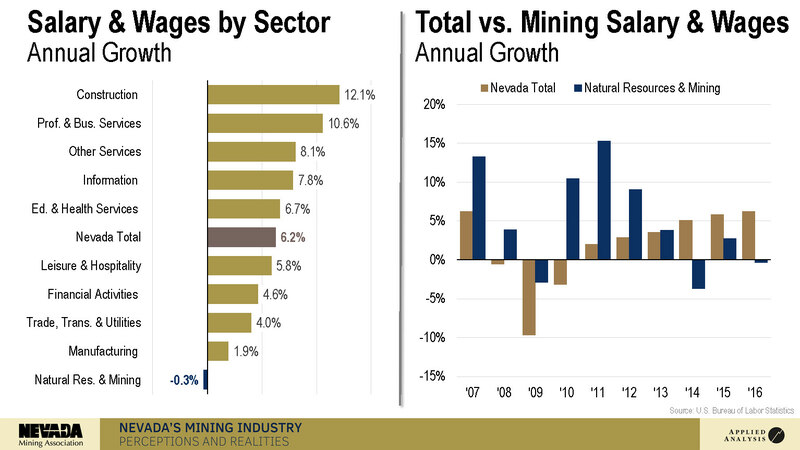 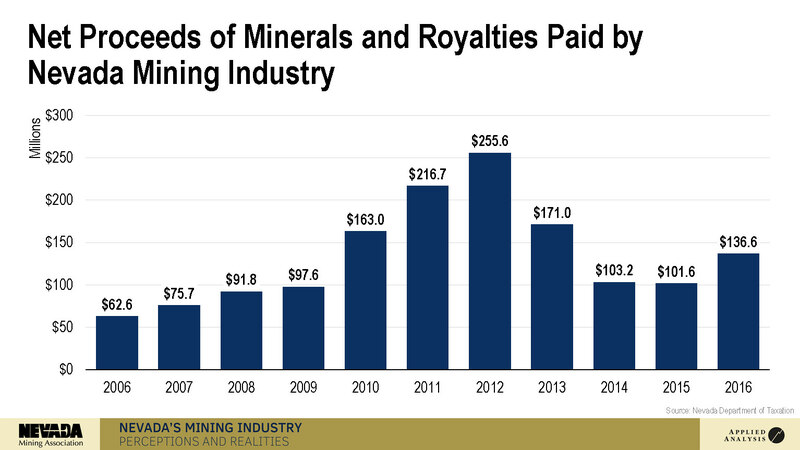 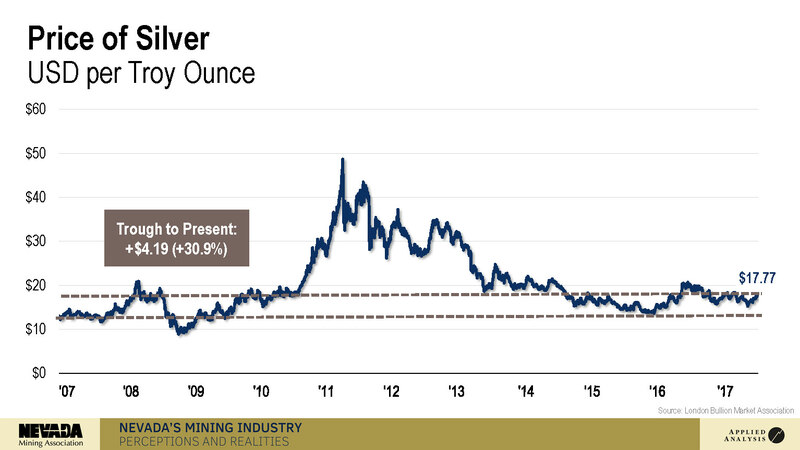 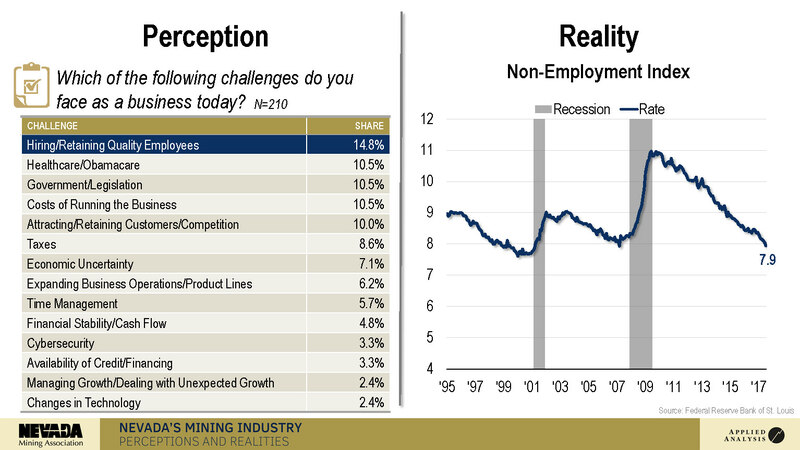 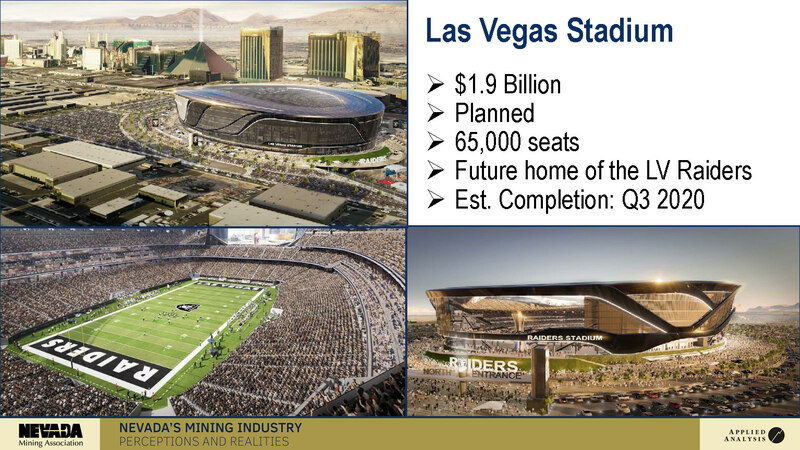 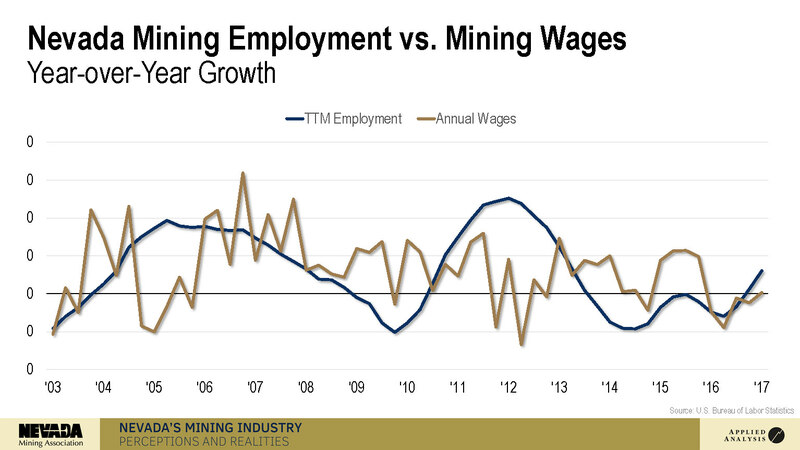 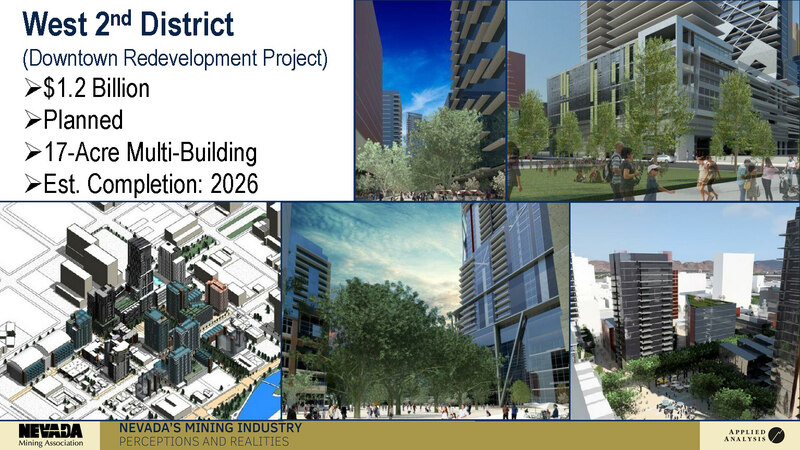 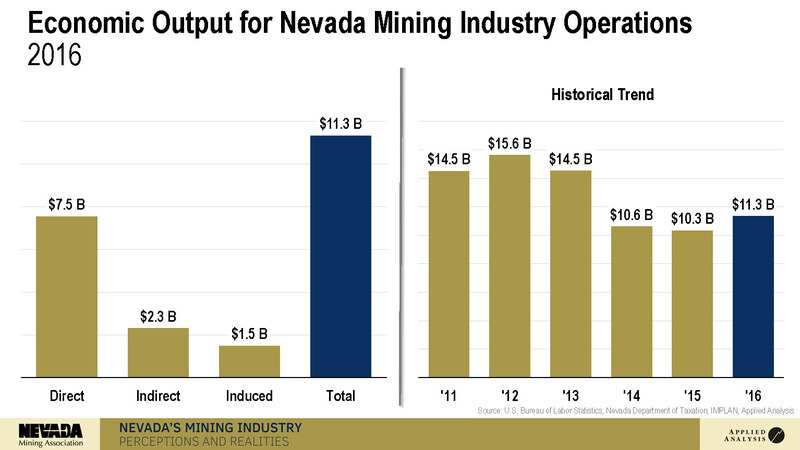 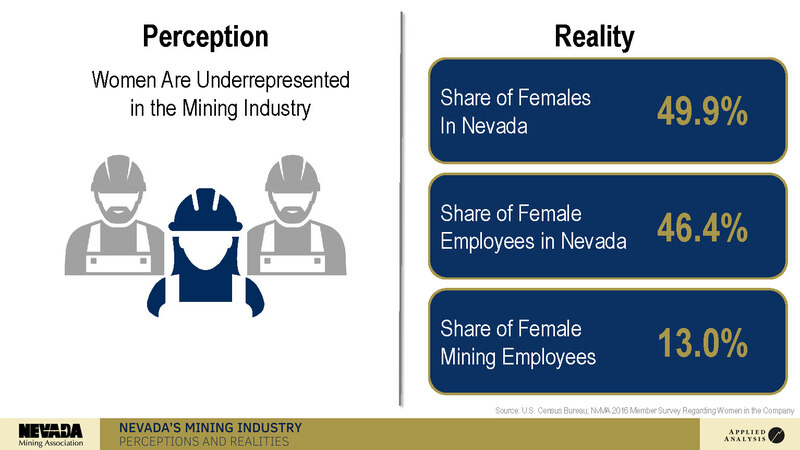 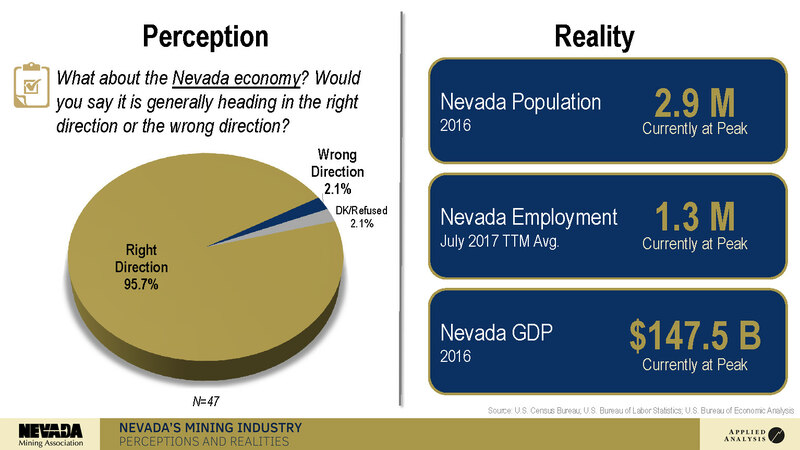 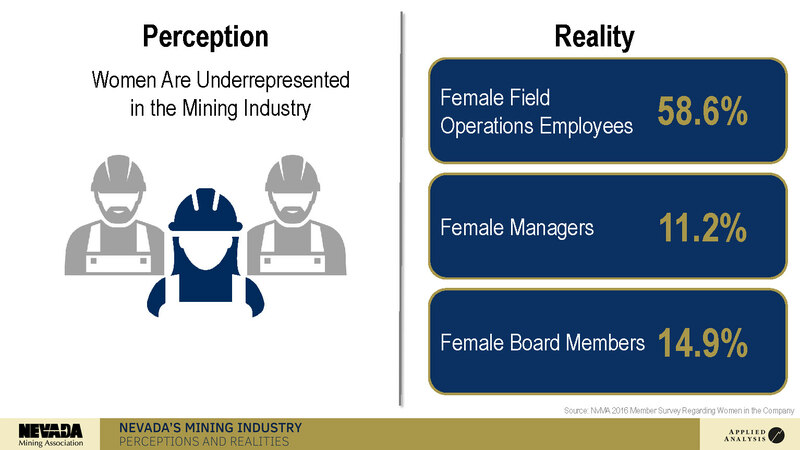 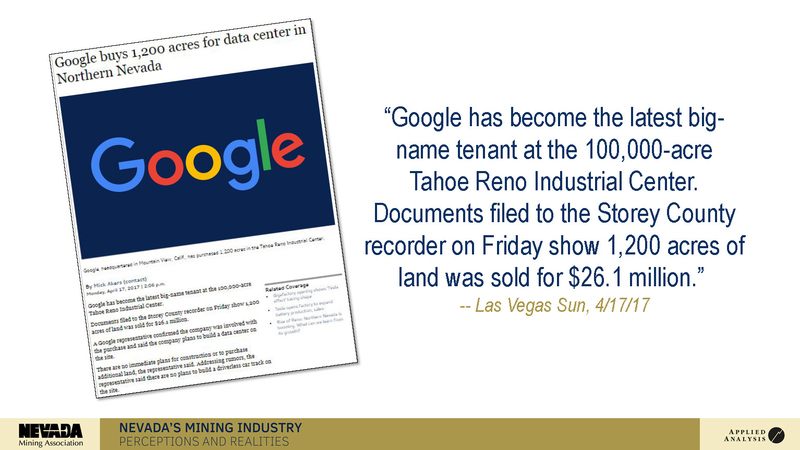 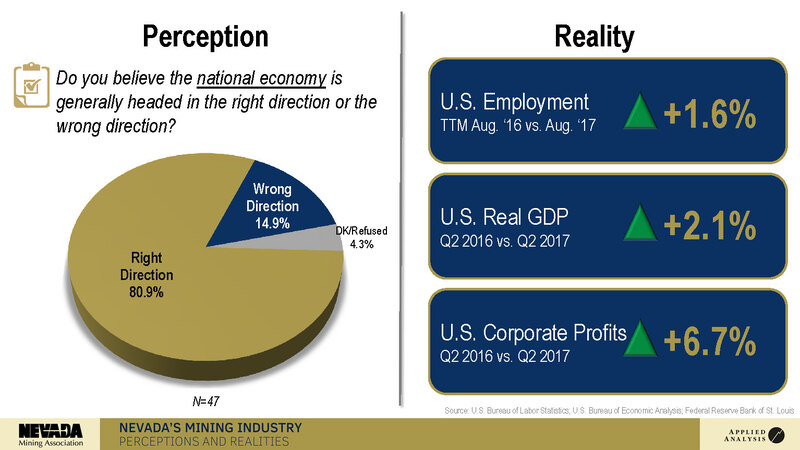 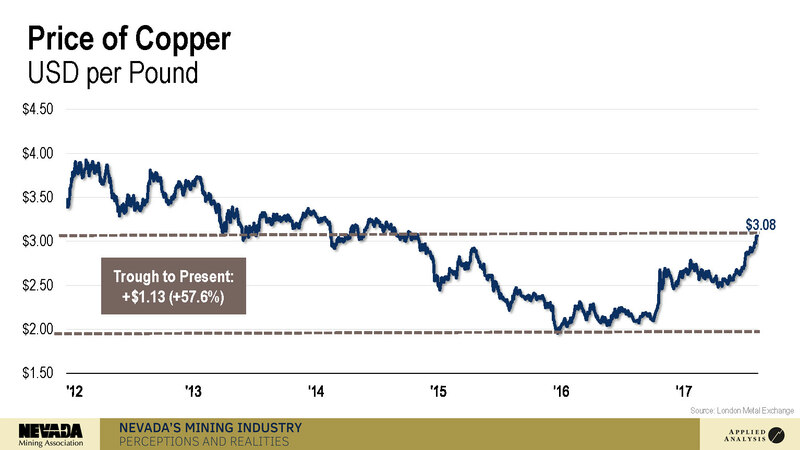 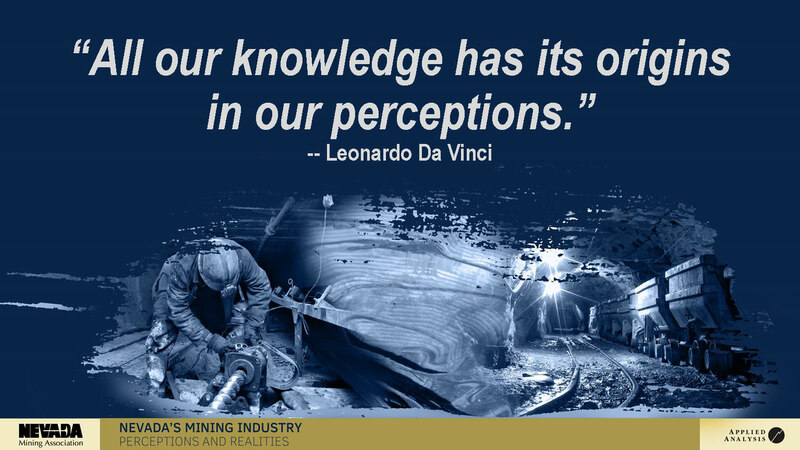 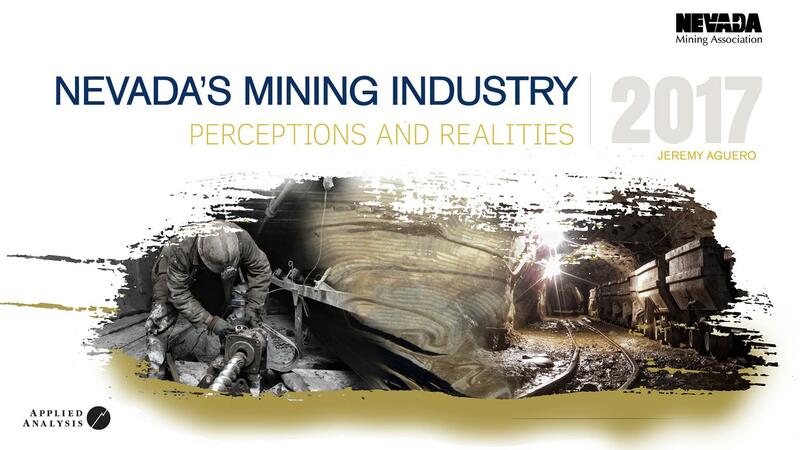 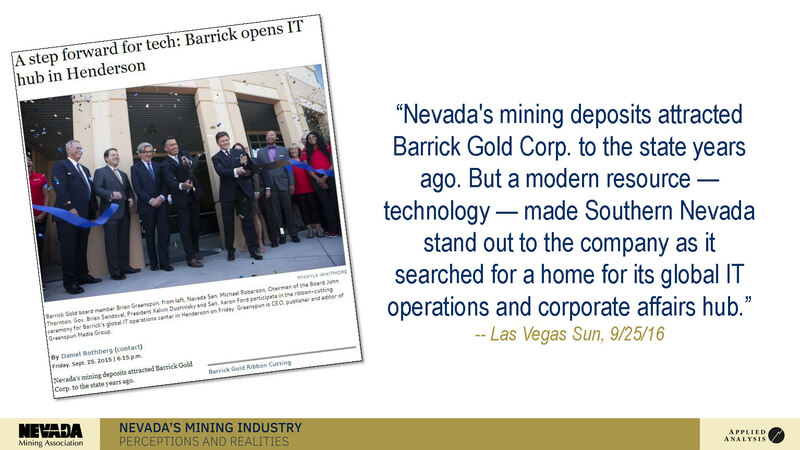 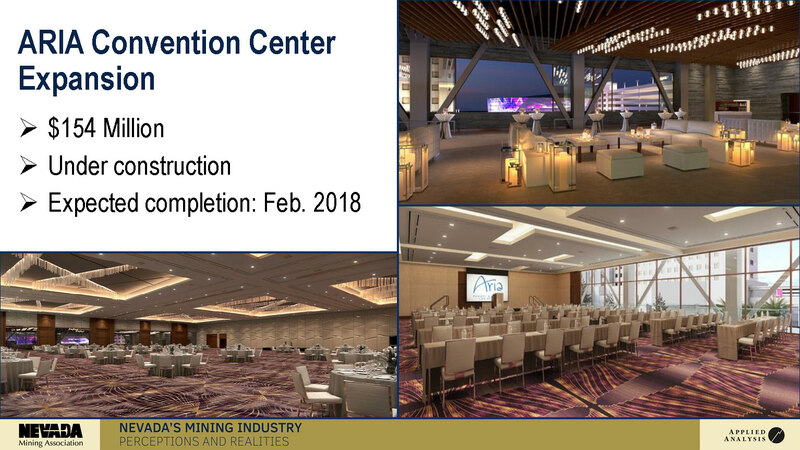 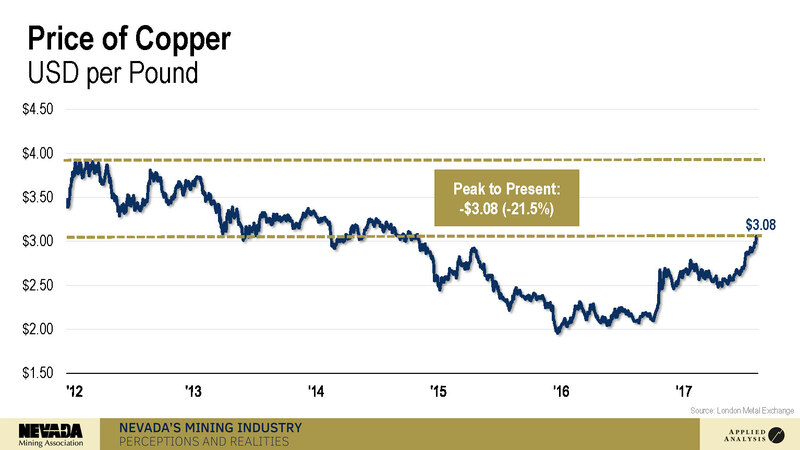 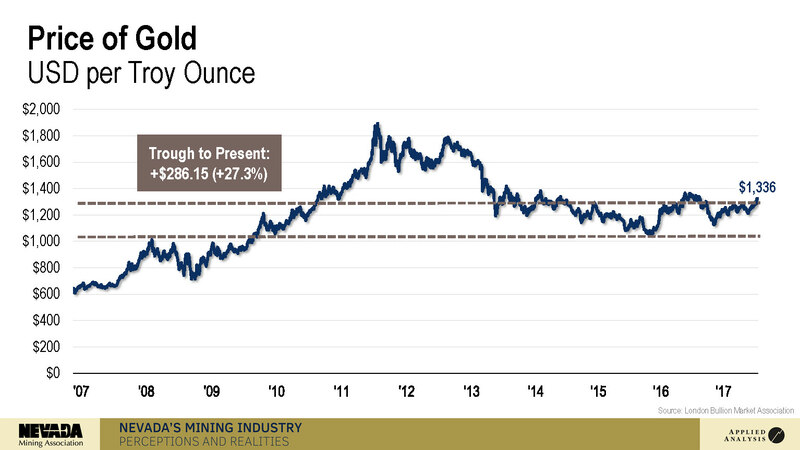 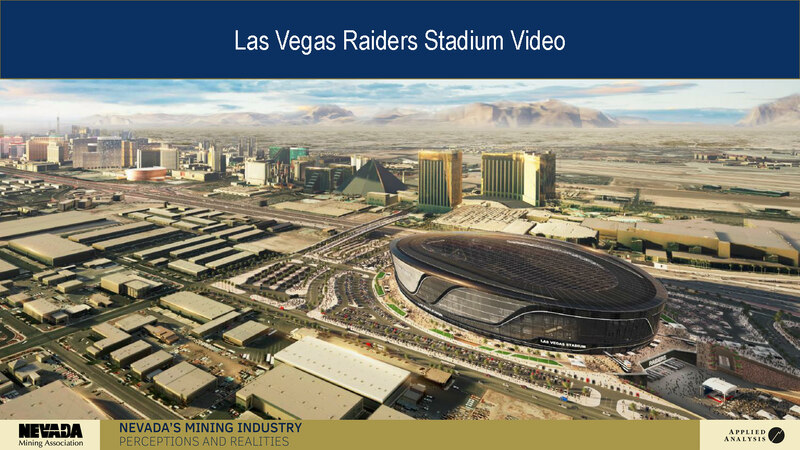 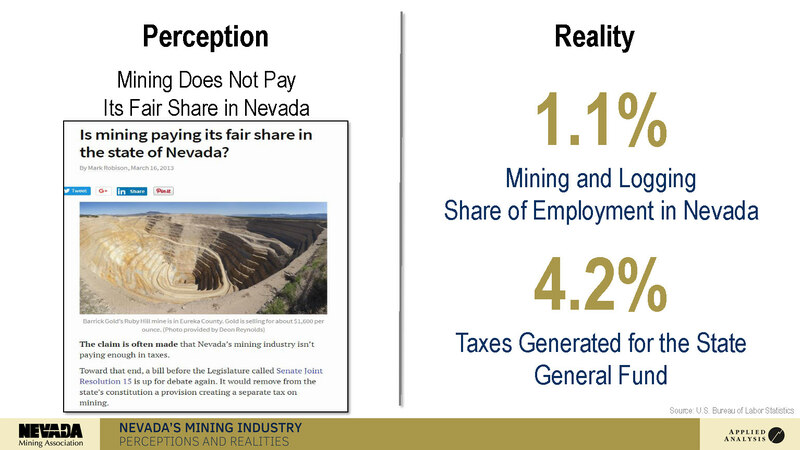 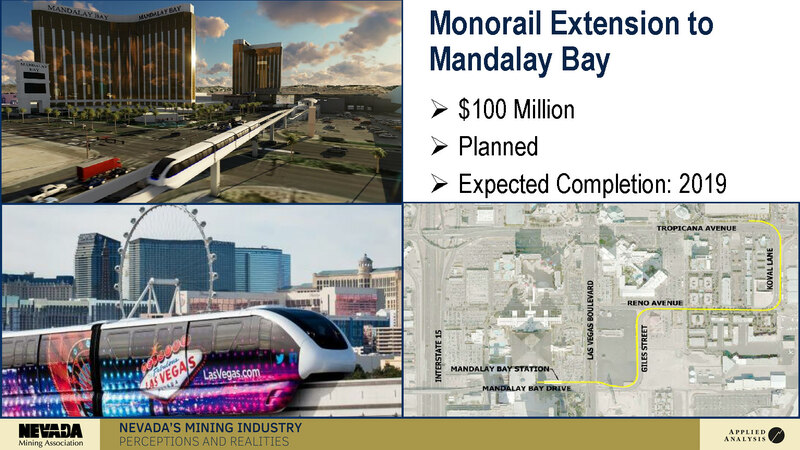 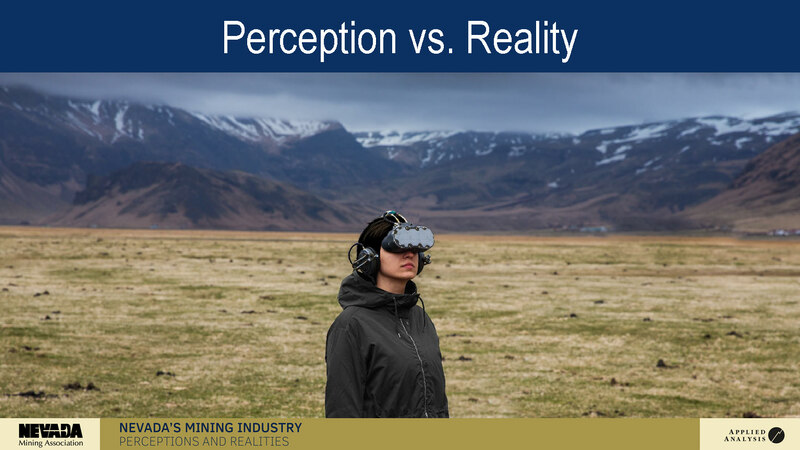 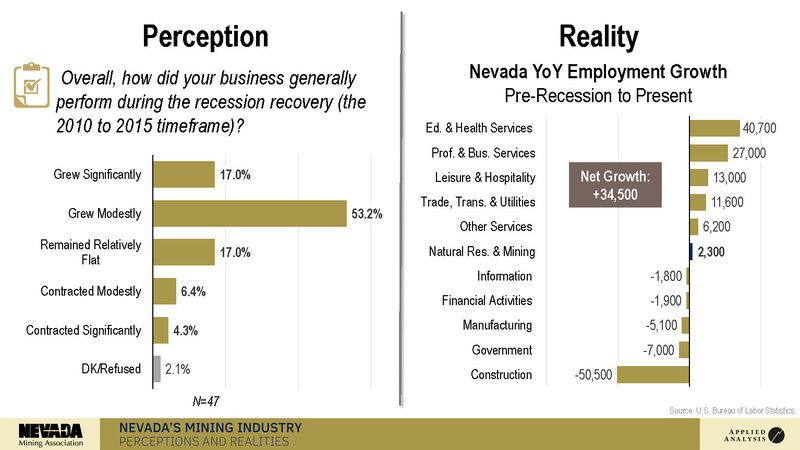 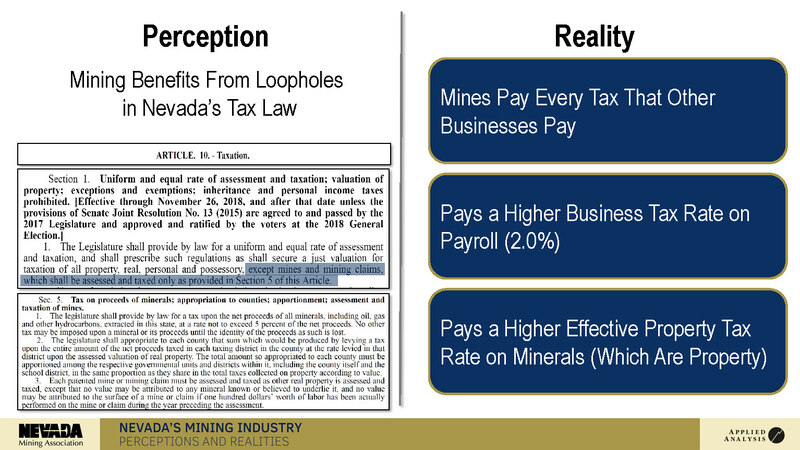 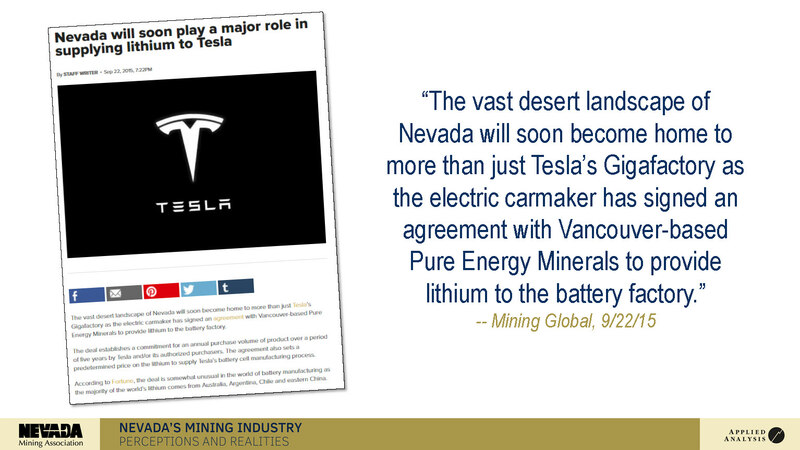 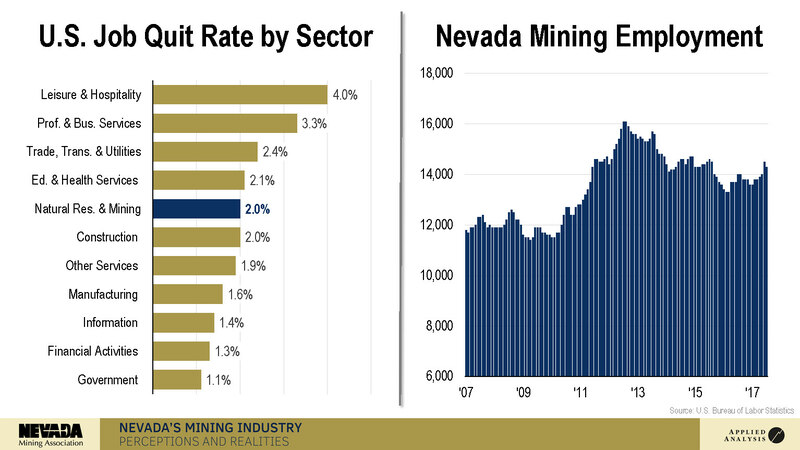 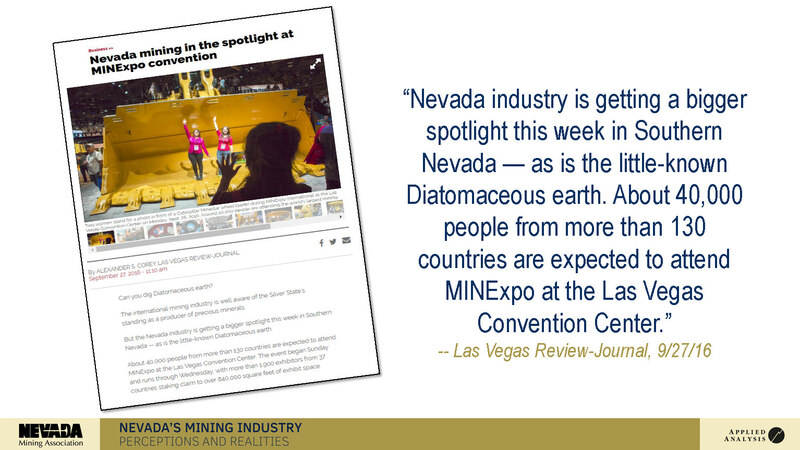 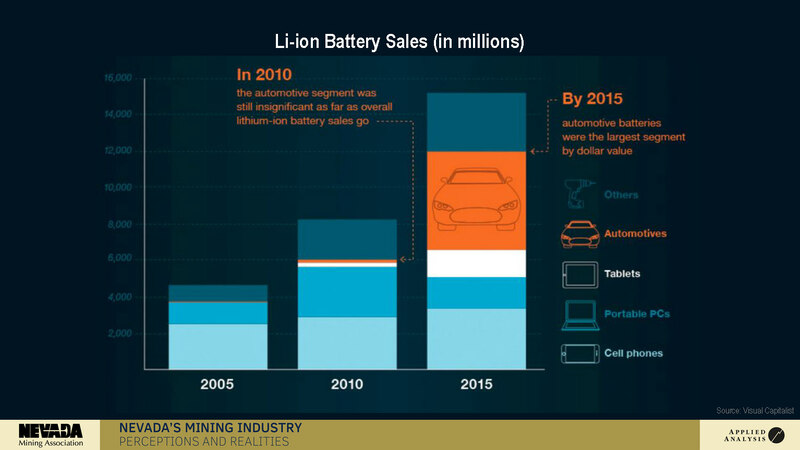 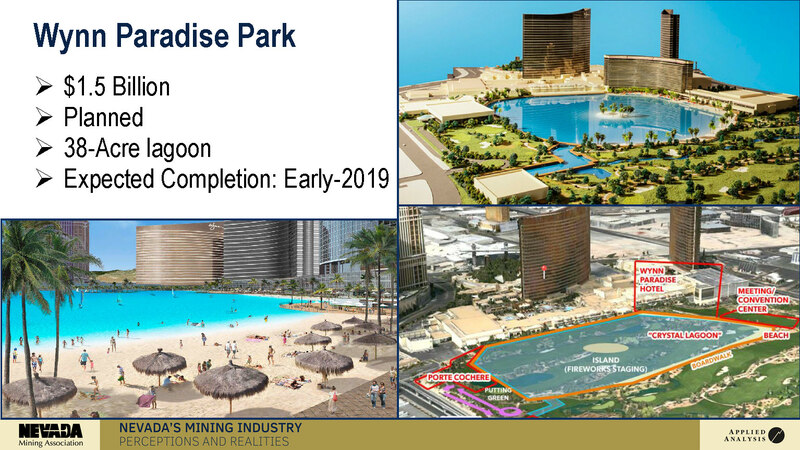 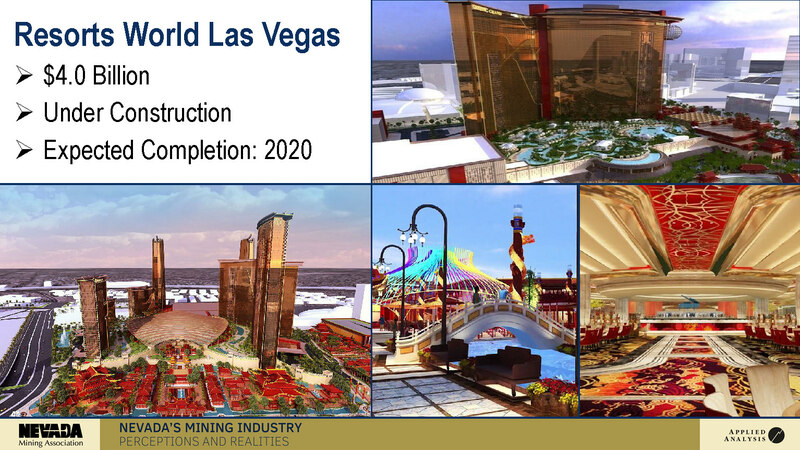 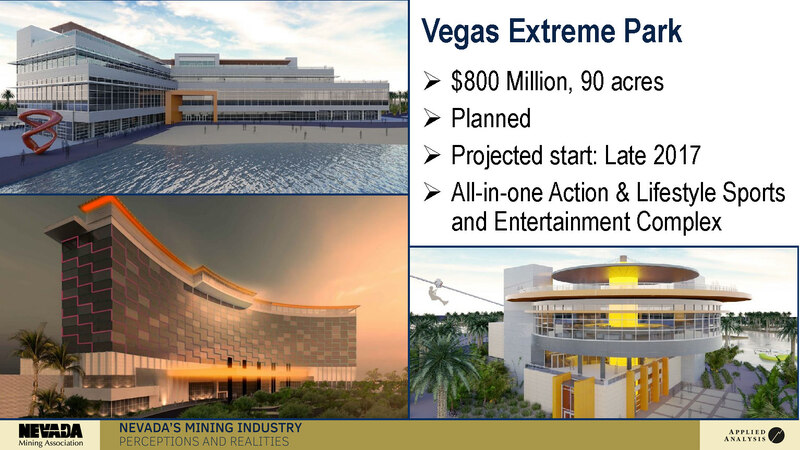 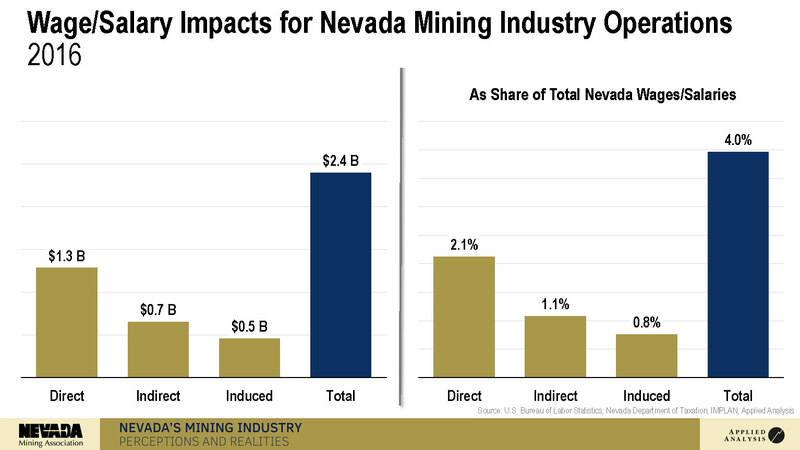 The presentation, "Nevada's Mining Industry: Perceptions and Realities," included some misconceptions relating to Nevada's economy and the mining industry as well as the realities of these topics. 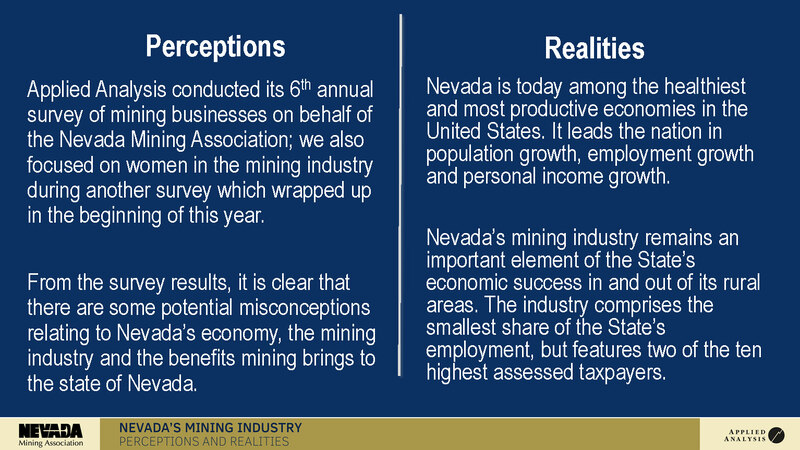 Mr. Aguero also highlighted the economic, fiscal and social contributions that the mining industry has brought to the state.